Joseph F. "Pete" Ricchiuti focuses his practice exclusively on civil litigation, with an emphasis in the areas of medical malpractice, products liability, insurance bad faith claims and other major personal injury litigation. In addition to representing clients in Philadelphia, he has obtained significant verdicts and settlements in over 13 of the counties in the eastern half of Pennsylvania, the Federal District Courts of both the Eastern and Middle Districts of Pennsylvania, as well as in New Jersey, Maryland and Delaware. He was a senior shareholder of the firm of Litvin Blumberg Matusow & Young from 1978 to 2004, and served as president of that firm from 1990 to 2004. Prior to joining the Litvin firm he spent nine years representing major manufacturers and physicians as an associate and partner at one of Philadelphia’s premier defense firms. He also has an active practice serving as a mediator and arbitrator of cases involving professional malpractice, vehicle accidents and other areas of complex civil litigation. He has completed over 90 hours of formal mediation training. His training includes completion of the course at Pepperdine University Straus Institute for Dispute Resolution in Mediating the Litigated Case, and the Mediation Course at Harvard Law School Program of Instruction for Lawyers. Both courses involved week-long intense study. He also has completed advanced training by Health Care Resolutions, including training in the Two Mediator Method. He is a member of the ABA Section of Dispute Resolution, and a member of the Association for Conflict Resolution. He has lectured on mediation for the Pennsylvania Bar Institute and the Association for Conflict Resolution. He regularly publishes articles on mediation and alternative dispute resolution. His most recent article, which was published in ALM's Medical Malpractice Law & Strategy and which covers mediation in medical malpractice cases, is available here. 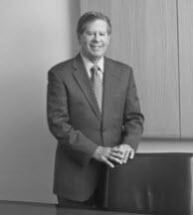 His November 2010 article on mediation and alternative dispute resolution was published in the Legal Intelligencer's "Personal Injury" supplement and also in ALM's Medical Malpractice Law & Strategy, and is available here. Mr. Ricchiuti has tried complex medical negligence cases involving numerous medical specialties. He has handled product liability cases involving such diverse products as elevators, forklifts, storage drums, bus seats and various areas of automobile design, printing machines and foundry operations. He has tried cases involving flammable and exploding liquids, arson defense, tanker trucks and explosives. He has also successfully tried cases involving bad faith conduct by insurance companies, and represented public figures in cases ranging from libel to breach of contract. One such case resulted in a substantial verdict against the city of Philadelphia and a former mayor. Mr. Ricchiuti lectures frequently in the areas of medical malpractice law, trial tactics and insurance bad faith litigation. Since the early 1990s he has been the co-planner for an annual advanced medical malpractice course sponsored by the Pennsylvania Bar Institute. He has lectured for the Philadelphia and Pennsylvania Trial Lawyers Associations, the Philadelphia Association of Defense Counsel, the Temple University Graduate Program in Law and the National Business Institute. From 1980 until 2006 he was a faculty member of the Academy of Advocacy, which trains lawyers in trial skills, and he serves as a Master for the Villanova Law School American Inn of Court. He has been involved with training lawyers who serve as volunteers for the Support Center for Trial Advocates. Mr. Ricchiuti has served as a judge pro tempore for the Philadelphia Court of Common Pleas, and in this capacity has served as a trial judge for jury trials. He is a member of the Investigative Division of the Philadelphia Bar Association’s Commission on Judicial Selection and Retention, and the judges of the Court of Common Pleas of Philadelphia County appointed him to a task force on medical malpractice litigation issues. He is a member of the American, Pennsylvania and Philadelphia Bar Associations, and is a former member of the House of Delegates of the Pennsylvania Bar Association. He is a member of the Association of Trial Lawyers of America, and is a member of the Million Dollar Advocates Forum. He has been elected to the American Board of Trial Advocates, with the advanced rank of Advocate, an honor bestowed only on experienced trial lawyers. He is a past President of the Eastern Pennsylvania Chapter of that organization. The Martindale-Hubbell Legal Directory has for over 30 years given him its highest rating* for legal ability and ethics. His community involvement has included service on the advisory boards of Siloam and Best Nest, charitable organizations dedicated to helping children and families afflicted by AIDS, or with other special needs. For 26 years he has been a member of the Committee for the Protection of Human Subjects for what was formerly Hahnemann Medical College and is now Drexel University College of Medicine. He has lectured to the physicians of those institutions on medical malpractice issues. Mr. Ricchiuti received his B.S. in biology in 1964 from the University of Notre Dame, and his law degree in 1967 from Villanova University, where he served on the Board of Editors of the Villanova Law Review. Following graduation, he served from 1967 to 1969 as law clerk to the Honorable Frederick V. Follmer, of the U.S. District Court for the Middle District of Pennsylvania.